CPR kits range from less than $10 to way up there. You can get a pair of gloves and disposable faceshield folded up small enough to fit on your keychain or go for something fancier. CPR Keychain Kit - faceshield, gloves, and instructions. Pocket Mask - mask, gloves, and instructions. There hasn't been a documented case of anyone getting AIDS from giving CPR, but shielding yourself from germs, saliva, vomit, and blood is always a good idea. Keeping a mask in your pocket or purse is an easy thing to do. 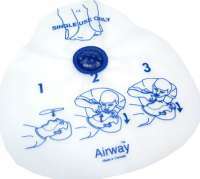 CPR Mask - adult and infant masks. Disposable Face Shield - simple, small, and disposable. The AED market is huge with more products coming out constantly. Here are some examples to take a look at. 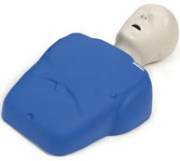 There are hundreds of places where you can buy CPR manikins. Their is a huge range in price and features. Here is a selection of products and sites, but there are many more out there. 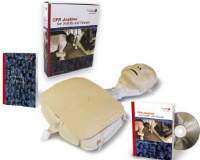 CPR AnyTime - a CPR training program that includes a DVD and manikin so you can learn CPR at home. It has proven to be effective, but does not result in CPR certification. Basic Manikin - simple, boring blue manikin. Fat Old Fred - a more typical cardiac arrest victim with extra body weight. Terry Trauma - manikin with burns, lacerations, and broken bones. Poor Terry has a rough job! 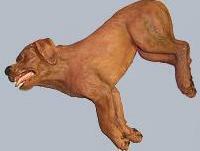 CasPeR the CPR Dog - for teaching pet owners.